Each candy bar includes a custom selection of candy. 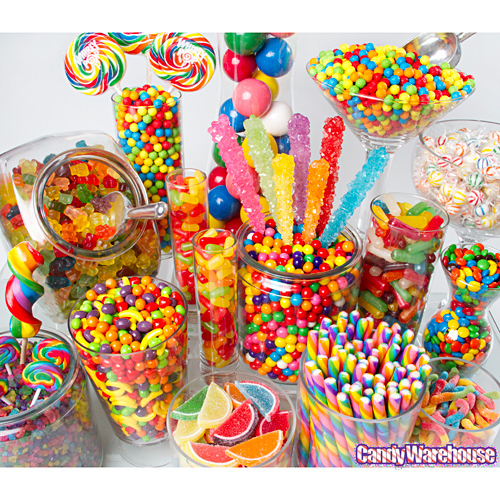 Candies include a mixture of hard candy, sour candy, gummy candy, chocolate, etc. We provide approximately 4 ounces of candy per guest to assure there is ample candy for the size of your party. Your candy selection can be based on a favorite color, event theme, favorite candy selection or a combination of inspirations. 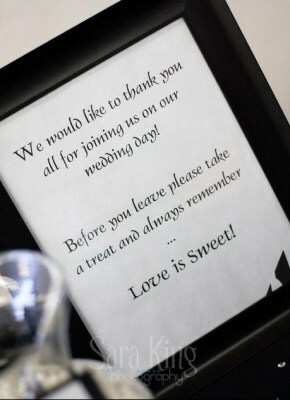 We worl with our clients to customize the andy slectio for each candy bar to meet each client's perferences. Candy selection depends uopn colors and availbiltiy. Upgraded candy selections are available! Each candy bar also includes rental of glass apothecary jars and/or other coordinating containers, tablscape designed to match event decor including linens (specialized linens are available for an additonal charge), colored or clear cello candy bags with custom designed labels, decorative accents such such as ribbon, and/or custom centerpiece, scoops, tongs, set-up and cleanup. 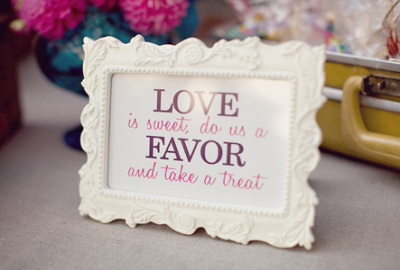 Let Us Help You Create "A Very Sweet" Event!